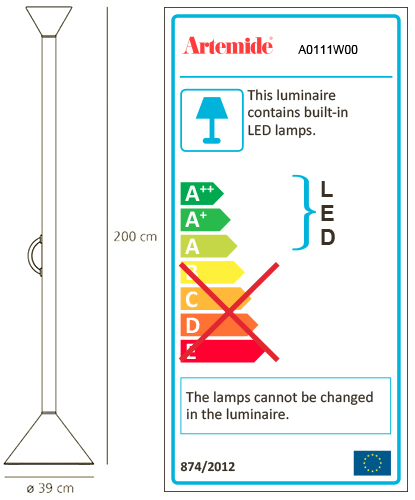 ARTEMIDE CALLIMACO LED is a floor lamp. Base and diffuser in painted steel, stem in painted aluminium, handle in polished chrome metal plate. Indirect light emission. Integrated LED not replaceable, 2700K, 45W, 3225lm, CRI=90. Dimmer.